When we visited Colombia back in December last year, we had intentionally made a trip to Antioquia, a coffee growing region which has been garnering much interest from specialty coffee buyers in recent years. Colombia, such a vast country with different micro-climates producing coffees of contrasting flavours. It’s definitely one of our favourite coffee origins. After our first trip to Colombia in 2013, we bought a bunch of coffees from Huila. This Colombian coffee gave us an insight to roasting the Castillo varietal and how sometimes green coffee need to “acclimatise” in order to taste better. For those who have read our blog on the Colombia trip back in Aug 2014, the new coffee that we are rolling out is a 90 point coffee that is also of the Castillo varietal and this coffee came in 1st in the Best Cup Cauca competition last year. These 2 weeks are all about new coffees. First, we rolled out the latest iteration of the Four Chairs seasonal espresso blend. Next up, we present not one, but 2 new coffees! The first new coffee is from Finca Villa Rica. This farm is situated in a region called Cauca in Colombia. For those who have read our blog post on theorigin trip to Colombia last year, you might recall that this is the small lot which won 2nd place in the Best Cup Cauca competition and the same coffee that Dennis used for his barista competition back in Jan. We visited the producer, Richard Olmedo Claros and his wife back then and wewere truly humbled by the way they managed to produced such quality coffeeswith such little resources. Richard literally rushed back to meet the group of coffee buyers in his humble abode upon hearing that his coffee came in 2nd in competition. When he found out the final bid for his coffee - US$6.6/pound, tears welled in his eyes. In our modern society of the developed world, it’s hard for many to understand how such amounts that might not seem much to some can actually be life-changing for others like Richard. His coffee has so much potential and we are sure that with more investment put into enhancing the processing of the coffee, they can only get better! This coffee is loaded with sweetness. Plums and raisins followed by chocolate, cherry cola and black tea notes in the finish. The silky mouthfeel and incredibly clean cup characteristic enhances the flavours, resulting in a superbly balanced cup. Processing: The cherries goes through 14-15 hours of dry fermentation in pulp, followed by 4-5 washes in tanks to completely remove any remaining mucilage. The coffee is then dried on parabolic drying beds for 8-16 days depending on weather. The second new coffee is from a country which we just visited a month ago, El Salvador. Finca Mi Tierrais located in the canton of La Montañita, Chalchuapa, Department of Santa Ana in the well-known Cordillera Apaneca-Ilamatepeque. 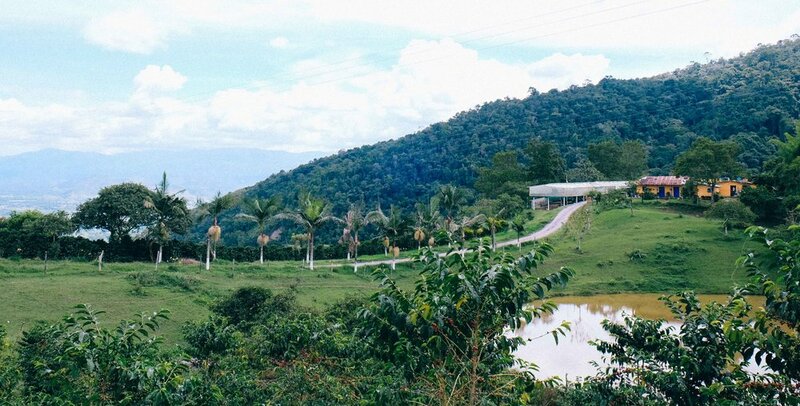 This farm is owned by the Gamero Interiano family for over three generations. The family is aware of the demand for specialty coffee in El Salvador, hence they only use the best agricultural practices for the maintenance of Finca Mi Tierra. During the cherry harvest period, more than 90 highly qualified individuals are responsible for picking the best beans in addition to the 45 permanent employees who work on the farm. The average age of the plantation is over 35 years, comprising mainly of Red Bourbon (85%), a small amount of Typica (10%) and Maragogype (5%). Once harvested, the coffee cherries are delivered immediately to Beneficio Tuxpal. 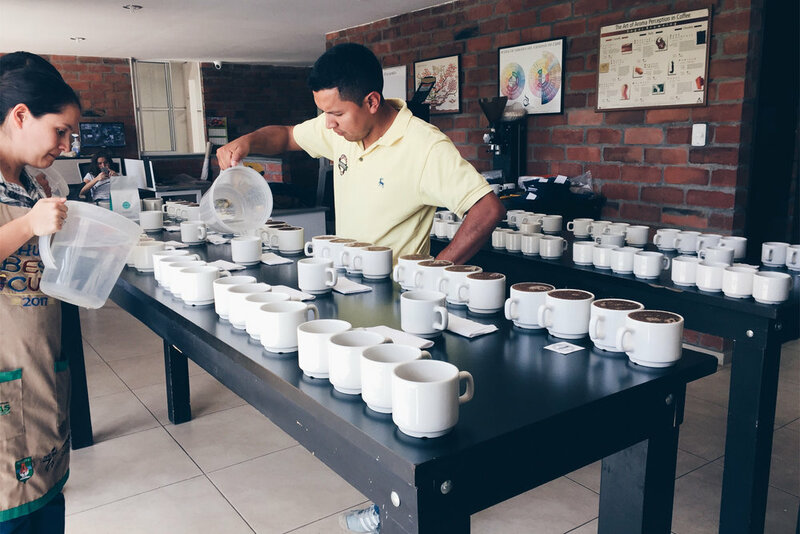 We first cupped this coffee last year when we visited Beneficio Tuxpal. The pleasant acidity caught our attention. Federico Pacas from Beneficio Tuxpal explained that he had only started working with Finca Mi Tierra recently. With the high standards of processing done by Beneficio Tuxpal, the coffee from Finca Mi Tierra shines through with lots of potential. As an espresso, the cup displays notes of dried fruits and raisins with overtones of sweet spice. Lush creamy mouthfeel ending off with walnuts and dark chocolate in the finish. We think this could well be another crowd pleaser for those looking for an everyday cup. Processing: Washed and dried in the sun for approximately 12 days. Both these coffees are available both in store and on web. Grab a bag to try and let us know what you think!